Frank Storch recently published a brochure to help residents in Baltimore County make an informed decision about whether to allow Baltimore Gas and Electric (BGE) to install smart meters into people’s homes. Storch emphasizes that BGE is offering citizens the ability to request a deferral of the planned installation until a time when each family has done the necessary research to determine if they ultimately will accept a smart meter installed in their homes. We are reaching out to you concerning a vital issue which could strongly impact all of our lives. As you may know, BGE is planning to install Smart Meters into all of our homes, businesses and schools. This could create serious health, safety, privacy and halachic issues. It is imperative for the community to join together to prevent this impending danger until more conclusive research has been completed. 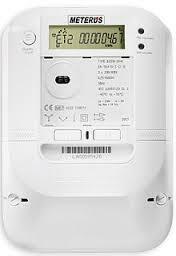 The message continues by calling for a united campaign to say no to the installation of the Smart Meter devices, and warns that without any reaction from the public the meters will be installed automatically.